Transplace Earns Challenger Position by Gartner Inc. This list highlights companies that support a culture that makes employees feel secure, understood, needed and inspired. Hub Group placed number 22 overall in 2018. “We believe our positioning in the Challengers quadrant by Gartner continues to validate Transplace’s commitment to provide innovative transportation management solutions." BEHIND SCHEDULE: According to new trade group Rail Customer Coalition, Congress has not reviewed freight-rail policy since adopting the Surface Transportation Board. Manufacturers, farmers, energy producers form new trade group, Rail Customer Coalition. American Farm Bureau Federation: Review rail policy and adopt improvements for rail carriers, shippers and public. Steel Manufacturers Association: Lack of competitive rail service having serious impact on American businesses. A large group of national trade associations representing manufacturers, farmers and energy producers have joined together to form a new group—the Rail Customer Coalition (RCC)—in an effort to highlight what they see as the need to overhaul the nation’s freight rail operations and infrastructure. “Our groups believe it is time to review key aspects of rail policy and adopt common-sense improvements to ensure that the U.S. is on course to meet the needs of rail carriers, shippers and the public,” says Bob Stallman, president of the American Farm Bureau Federation. 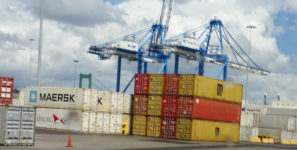 “The reasonable reforms in this bill will make many important changes, such as streamlining the STB’s [Surface Transportation Board] overly burdensome rate-review standards, providing reasonable arbitration procedures to resolve rate disputes, and allowing the STB to be more proactive in resolving freight rail issues,” says Cal Dooley, president and CEO of the American Chemistry Council. “We’ve reached a tipping point where the lack of competitive rail service is having a serious impact on American businesses,” says Philip K. Bell, president of the Steel Manufacturers Association.